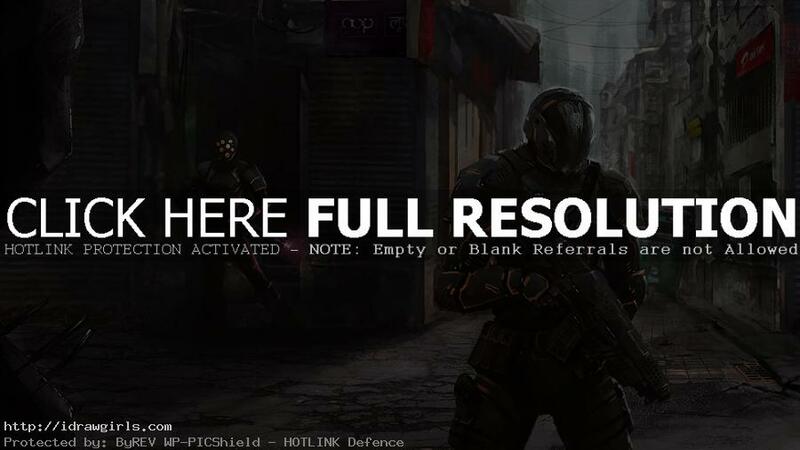 Digital painting mecha tutorial post apocalyptic scene concept art. This tutorial shows you how I paint a post apocalyptic environment with Mech characters concept at. I used Photoshop and wacom tablet to create my concept art. They are widely used in professional concept artists community. You can scroll down further to see step by step images with instruction. First, I come up with an idea of a post apocalyptic scene. I visualize the scene of a destructive buildings and broken walls. Then I add two rivalry mecha soldiers. Then I use two points perspective to set up the background, have one mech guy in the foreground around the focal point and the other in the background. I spend about 30 minutes to finish up the speedpainting or composition and underpainting. The speedpainting is basically a quick concept art to give you overall idea of composition, lighting and mood. I would not recommended using Photo textures for beginners. Because it requires not just technical knowledge, but solid painting foundation, strong knowledge of lighting and perspective. Before you start using photo textures in your image. You should already be comfortable painting a scene without using any photo already. If not, I strongly suggest stay away from it. It will look too obvious if you do not know lighting well. Below are step by step images of post apocalyptic scene concept art painting process. You are asking the wrong question buddy. It is all about foundation and basic knowledge about lighting. What brush do you use? or is it custom. By the way great work.